“You're in safe hands with Tanga's impeccable knowledge of the body - every treatment is always very relaxing. I can't recommend her highly enough"” - Benedict B., Central London. Glandular fever, sinusitis, recurring infections, and M.E. “Finding out about Tanga and lymphatic massage has changed my life. I lived with swollen feet and ankles, but after regular sessions I am almost normal. I no longer rely on water tablets and can wear nice shoes and skirts. Tanga offers her treatments in a relaxed and therapeutic environment. I really look forward to my visits and can recommend this very special service to anyone who suffers with a lymphatic condition.” - Gill B., SE London. Manual lymphatic drainage (MLD) is a gentle skin technique designed to improve the function of the lymphatic system. This system plays a major role in the body's waste process. it also houses the lymph nodes, where white blood cells live and help the body to fight against infections. Gentle rhythmic, circling movements on the skin stimulates the contraction of the lymph vessels, which speeds up the removal of waste products. White blood cell production is increased, and the autonomic nervous system is calmed, so that you experience a blissful state of relaxation. An illness begins with a micro-oedema - a minute swelling that cannot be seen as pathogens or damage progress. Manual lymphatic drainage addresses micro-oedema in the soft tissues, boosting the body to health. The gentle touch of MLD means that it is one of the few treatments that can be applied soon after injury to speed healing and may help control pain. It is a preferred treatment for people who may find stronger bodywork uncomfortable, e.g. people suffering from chronic fatigue (M.E.). Manual Lymphatic Drainage was developed in the 1930's by the Danish physical therapists, Emil and Estrid Vodder. Today it is a valuable added skill for care professionals, including nurses. Zero balancing is a unique touch therapy that realigns the body's energetic flow with its physical structure. It is applied through the clothes, using specific finger pressures and held stretches. It focuses on groups of joints in the body through the weight bearing skeleton, improving their alignment and relationship to each other. This invites the release of tension from deep within the body, improving natural movement patterns and fostering a profound sense of well being and stillness. The name Zero Balancing rose spontaneously from a recipients description of the experience she had just received. Dr. Fritz Smith, a Canadian osteopath, physician and acupuncturist, developed the principles of Zero Balancing in 1975. “I feel wonderfully relaxed, and ten feet taller!” - Anne V., SE London. Get more information about Zero Balancing on the UK Website, or the US Website. Tanga combines her therapeutic skills to create a session tailored to you. Top-to-toe treatments are the perfect urban mini-break. Taking regular time-out to relax and re-center yourself helps boost your immunity and resilience to your daily challenges. Therapeutic movements including deep tissue, pressure points, and fascial work loosen and relax tight muscles, and help relieve strains and sprains. An uplifting holistic experience. Includes a face and foot pressure sequence. Aromatic oil is optional. Many factors lead to fixed patterns that create lines, and set expressions in our faces - and just like regular care of the body, regular attention to the face can help keep it more youthful and bright. 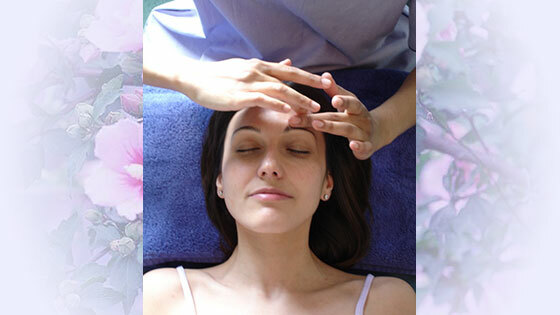 Facial massage and foot treatment, bring a surprising awareness and release to areas of unconscious held tension. Face and Feet sessions leave you radiant and ready to move forward. Pressure point work and passive stretching invites deep stillness and a meditative state. Lymphatic Drainage massage follows, which boosts immunity, reduces swelling or toxic buildup (cellulite, fluid retention), and decreases bruising and pain. Pressure point work and passive stretching invites deep stillness and a meditative state. A pampering facial and relaxing foot massage sequence then follow. “When I look in the mirror and see a more relaxed and younger looking face, it's Tanga that I thank” - Susan T., Central London. A pressure massage and connective tissue techniques unlock muscle tension, encouraging greater elasticity and muscle tone. A gel and mask improve circulation and smooth the texture of the skin. And Lymphatic massage helps drain away any puffiness and toxic build-up. Infra-red heat is directed on the face whilst the mask is on. Infra-red is a wavelength of radiant heat found in sunlight. It boosts the cellular exchange of nutrients and oxygen, increasing energy production, and de-stresses through its warming and relaxing effect. “Sheer luxury, you are spoiling me” - Clare H., Central London.